You are currently browsing the category archive for the ‘Personal Reading Challenge’ category. 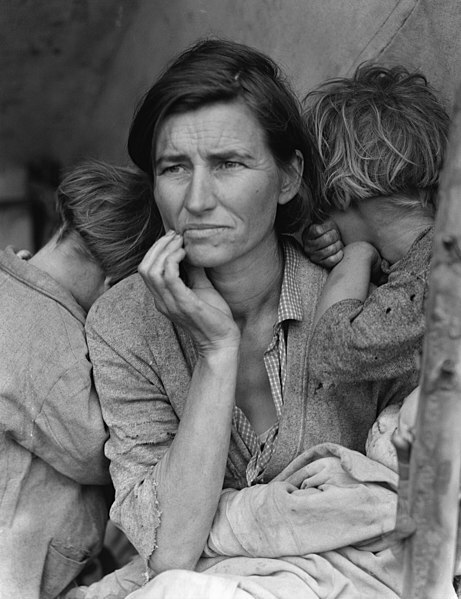 Who doesn’t know this famous picture of a Migrant Mother of the American Dust Bowl? It could be the icon of John Steinbeck’s famous novel The Grapes of Wrath, which I read in the autumn of 2009; 60 years after its publication date (1939), which was also the year that my mother was born. It came to be my favourite read of 2009 — something I would never have expected! Set during the Great Depression preceding World War II, the novel focuses on the Joad family, farmers driven from their Oklahoma home by drought, economic hardship, and changes in the agriculture industry. Because of their hopeless situation they set out for ‘The Promised Land’ of California, along with thousands of other Okies in search of land, jobs and dignity. Highway 66 is the main migrant road. 66 — the long concrete path across the country, waving gently up and down on the map, from Mississippi to Bakersfield — over the red lands and the grey lands, twisting up into the mountains, crossing the Divide and down into the bright and terrible desert to the mountains again, and into the rich California valleys. This quote vividly evokes the story of the east to west migration in the US during the Great Depression. The paragraph above is followed by an enumeration of places along the road and it strongly brought to mind the 1946 song that I came to know decades later, thanks to one of the best pop groups of my teenage years, Depeche Mode: Route 66. The Grapes of Wrath was banned (and even burned) several times. Though I absolutely not agree with it, of course not — the very idea, I can understand see how that happened: there’s a lot of swearing, violence and carnal stuff in it, plus an apostate preacher, Jim Casy. I read the book in Banned Books Week — and what did I think of it? Well, I had a hard time getting into it. The paperback has a small font on thin pages so it reveals itself to be quite a chunker when you open it for the first time. The spoken language needs a bit of getting used to. But my biggest problem was that the chapters alternate between the (interesting) story of the Joad family and some sort of epic story telling that I couldn’t figure out — and bored me a little at first. Was it the (ex-)preacher preaching? Sort of a ancient Greek choir commenting on events? An omnipresent character? Biblical, mythological? Eventually I decided it must be the oral tradition of history — I could picture the poor travelers meeting around a camp fire at night; neighbours and friends for just a short time. The attitude of Western Americans was often repulsive. It almost made me swear out loud. I copied whole pages in my notebook because I wanted to remember them. Better buy a copy of my own eh? 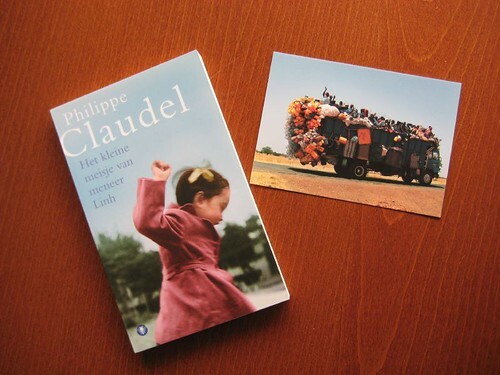 Since this one was a Random Act of Bookcrossing Kindness, sent to me by boekenxnl. I’ll pass it along as soon as I’ve finished writing this review! Now, on a side note: I was wondering who made the cover of this 1970 Penguin Modern Classic edition. I couldn’t find it in the book details, nor anywhere on the web. What I coincidence that I went to an exhibition on Edward Hopper and his contemporaries in the Rotterdam Kunsthal, where I came face to face with a painting by Ben Shahn (1898-1969) that immediately reminded me of the cover image! Because of the style, and of its subject: Social Realism (or social-documentary). The exhibition note explained that the artist used to make a photo first, which he later developed into a graphic work. I figured it would be very appropriate to use a work of art by Shahn as a book cover for The Grapes of Wrath, because during the Great Depression he traveled and documented the American south alongside photographers like (among others) Dorothea Lange, who made the picture of a Migrant Mother that you saw at the beginning of this post. What a great discovery to make! Except for Hopper’s painting Railroad Sunset the rest of the exhibition actually was a bit of a disappointment. An Edward Hopper expo is no Hopper expo when his most famous painting Nighthawks isn’t there. But of course that picture doesn’t belong to the Whitney Museum of American Art, the institution that put the show together with works out of its own collection. Each time Jule makes an appearance this ‘half-breed’ fact is mentioned. That irritated me — and I got the feeling it wasn’t because Steinbeck happened to be such a great observer, but maybe because that was how he approached Amerindians himself. Or am I terribly wrong?? Thirdly, the poor migrants were at times too good to be true. But these things aside: I am SO glad that I have read this classic! The Grapes of Wrath is part of my Personal 2008-2009-2010 Reading Challenge and the 2009 Classics Challenge. The fences are down: 2010 reading challenges a-go! Beth Fish Reads is taking over the third What’s in a Name challenge. I liked participating in #2 and I did finish reading all my entries… I just still need to review –whispers– half of them :\ Well, I’ll get to that. Someday. Here’s the new challenge in brief: between January 1st and December 31st I need to read one book in each of the following categories. A book with a food in the title. A book with a body of water in the title. A book with a title (queen, president, sir) in the title. A book with a plant in the title. A book with a place name (country, city) in the title. A book with a music term in the title. 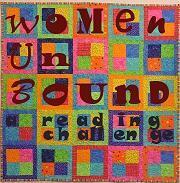 Another challenge that I’ve had my eyes on has already started: the Women Unbound challenge, running from November 2009 until November 2010. When I was reading The Old Capital by Yasunari Kawabata last month I kept thinking about this challenge. So now I’ve actually made the decision to join! I just need to figure out which level: Philogynist (“read at least two books, including at least one nonfiction one”) must be doable since I have already read Kawabata and will definitely pick up Sei Shonagon’s classic The Pillow Book soon, which counts for non-fiction. But it should be a challenge! Of course I could always upgrade along the way? It’s a sin to kill a mockingbird [..] They don’t do one thing but sing their hearts out for us. Thanks to a bookcrossing book ring I have finally read Harper Lee’s 1960 classic To Kill a Mockingbird. It had been on my wishlist for quite a few years and became part of two challenges: the 2009 Classics Challenge and my personal 2008-2009 challenge. There has been written a lot about this book so I’m just going to add my personal view. Well.. and a little about the story for people who haven’t read it (yet). To Kill a Mockingbird is a novel in which a female attorney, Jean Louise — Scout — Finch, looks back on her childhood during the Great Depression in the fictional town of Maycomb, Alabama. Maycomb was an old town, but it was a tired old town when I first new it. In rainy weather the streets turned to red slop; grass grew on the sidewalks, the court-house sagged in the square. Somehow, it was hotter then: a black dog suffered on a summer’s day; bony mules hitched to Hoover carts flicked flies in the sweltering shade of the live oaks on the square. Men’s stiff collars wilted by nine in the morning. Ladies bathed before noon, after their three o’clock naps, and by nightfall were like soft tea-cakes with frostings of sweat and sweet talcum. The story focusses on the events of a certain summer, that morally and socially shaped Louise into the adult she became. Because of this, the book is considered a Bildungsroman. Although Harper Lee used a lot of autobiographical elements, the novel is fiction. When he was nearly thirteen, my brother Jem got his arm badly broken at the elbow. When it healed, and Jem’s fears of never being able to play football were assuaged, he was seldom self-conscious about his injury. His left arm was somewhat shorter than his right; when he stood or walked, the back of his hand was at right -angles to his body, his thumb parallel to his thigh. He couldn’t have cared less, so long as he could pass and punt. When enough years had gone by to enable us to look back on them, we sometimes discussed the events leading to his accident. The reader now knows that the rest of the book will tell about the events leading up to Jem’s accident. But like in a court case where seperate witnesses have different truths, the sibling’s have different points of view on where it all began. Some women also didn’t find it believable that children were accepted into the courtroom. Well, it was a long time ago… And honestly, isn’t it really harder to believe that black people were treated as lesser humans? And they were! Even though you know that it’s true, it is still shocking to read about this kind of racism. To Kill a Mockingbird was published 5 years after Rosa Parks had refused to give up her bus seat for a white passenger (also in Alabama); Harper Lee had been writing on the book for a few years. Aside from the main storyline (which I am not writing down because it is broadly known and when you’re in the dark about it you might want to keep it that way), you can feel how Scout grows into her later profession even though that was not yet common for women of that time. “You mean women in Alabama can’t –?” I was indignant. “Nome, I hadn’t thought about it..” I answered, grateful that Miss Stephanie was kind enough to change the subject. Hurriedly I began choosing my vocation. Nurse? Aviator? Recently To Kill a Mockingbird became #1 on the list of the best 60 books of the past 60 years. Maybe not because Harper Lee is the most skilled writer of recent history, but because her book is about the equality of Man. Ha! I have just finished John Steinbeck‘s The Grapes of Wrath, which is also on my challenge list (review pending). That book is more about equal rights for ‘poor’ white people from the East of the US migrating to the West in the same period as To Kill a Mockingbird. Both books won the Pulitzer Prize for Fiction in the year after they were published (respectively 1940 and 1961). And both books play in the American South. Have you ever heard of Southern Gothics, a sub genre of the gothic novel and unique to American literature? I hadn’t. But To Kill a Mockingbird is (by some) considered to belong to this genre. “Like its parent genre, it relies on supernatural, ironic, or unusual events to guide the plot. Unlike its predecessor, it uses these tools not for the sake of suspense, but to explore social issues and reveal the cultural character of the American South. Lawyer. Heroic knight. That’s why Atticus, Scout’s father, seems a bit too good to be true sometimes! But I think it is also because most of the story is told through the eyes of a child — don’t young girls often look up to their fathers, seeing them as hero’s? Mockingbird sound recording courtesy of The Quomma. The Golden Notebook (by Doris Lessing, of course) was an important feminist book in its day, and I guess that’s how it came on my wishlist ‘to be read someday’. But I haven’t really felt like it up until now (and I still don’t to be honest). I’m afraid it will be difficult or boring… So I made it part of my personal 2008-2009 reading challenge. In the ‘readalong project’ seven female writers will read The Golden Notebook for the first time and blog about it. People like me can have their say on the forum. 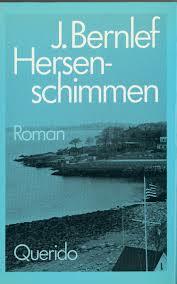 (Oops, that will get me behind the computer again ;) Well, I should at least try to read this golden oldie from a writer that won last year’s Nobel Prize in Literature! I am very grateful to Deepswamp from Sweden who made my challenge possible by sending me a bookcrossing copy of The Golden Notebook. Possession is one of the books in my personal 2008 reading challenge. I thought I had already written a post about that but it seems not. Will do – soon – but for now I redirect all who want to know about this challenge to my Bookcrossing bookshelf. 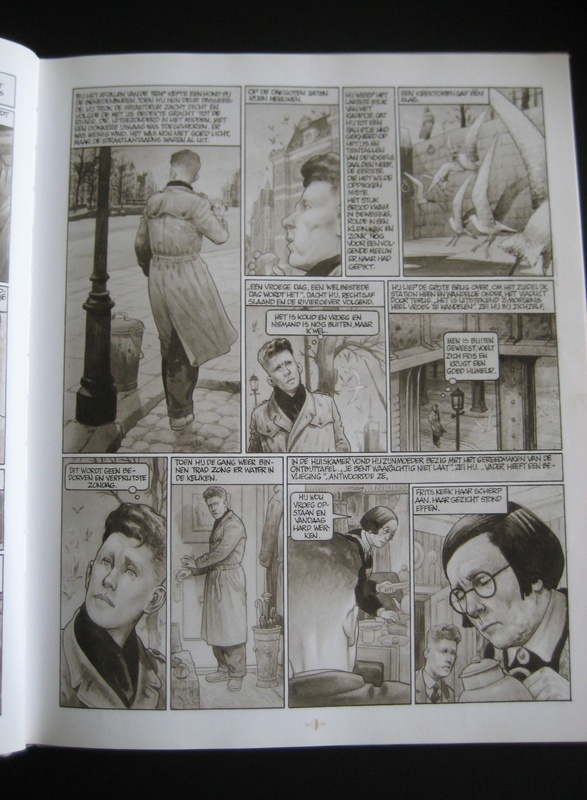 At the moment I’m halfway another challenge book: The amazing adventures of Kavalier & Clay (by Michael Chabon). It’s great! But 639 pages thick, so it will keep me busy for a little while longer. After that I plan to read Anne Enright’s The gathering because it is this month’s book for my virtual book club, the Boekgrrls. But after that… Possession it is! The final contest was between Kader Abdolah and Harry Mulisch, and Mulisch finally won. 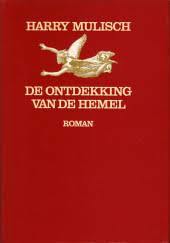 It’s interesting that an immigrant came so close to winning the prize for Best Dutch Book ever! I am now reading Publieke werken so I should be able to finish my challenge before the end of 2007. But because I had left some of the thicker books until last and I didn’t feel much like picking them up, I am participating in an international Bookcrossing challenge: the SIY (Set It Yourself) challenge. It helps motivate to complete my challenge – I don’t think I would have managed otherwise!